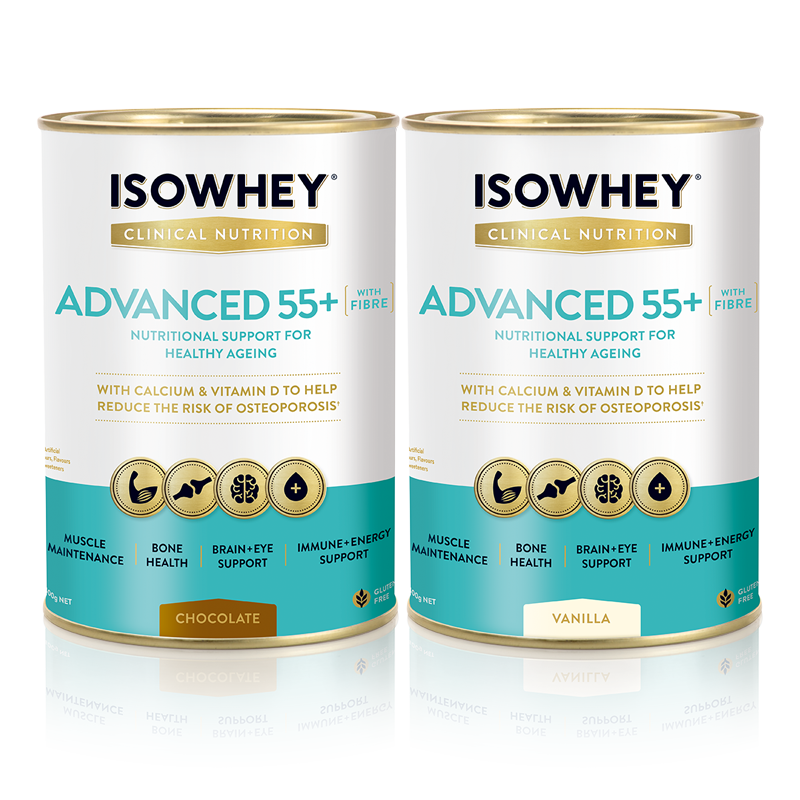 Maintaining health and wellbeing at every age has been made easier with the arrival of IsoWhey Clinical Nutrition Advanced 55+ from leading healthy lifestyle company IsoWhey1. A product specifically formulated to support healthy ageing and maintain an active lifestyle, Advanced 55+ features a range of beneficial ingredients to provide nutritional support for people aged 55 and over, including 23 vitamins and minerals. Designed to be taken as a snack, IsoWhey Advanced 55+ is just one convenient glass a day, and is available in vanilla and chocolate flavours. It is gluten free and has no artificial colours, flavours or sweeteners. RRP: IsoWhey Clinical Nutrition Advanced 55+ 400g RRP: $24.95 *Available at select pharmacies and health food stores.